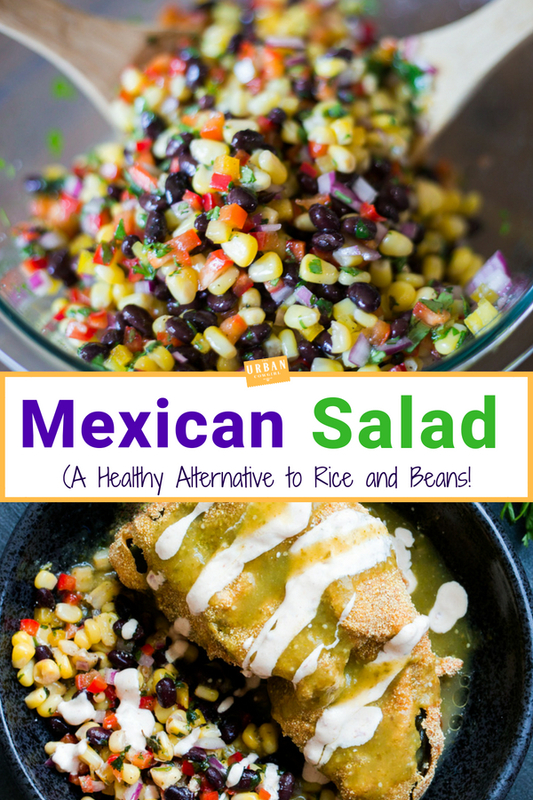 Crisp corn, creamy black beans, and chopped peppers are marinated in a bright and fragrant Mexican vinaigrette and served as a healthy alternative to rice and beans! 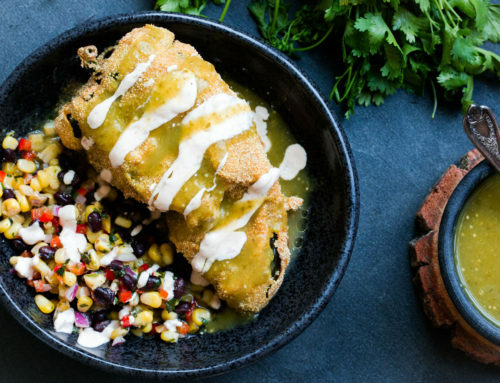 They go great with chile rellenos, fajitas, and all sorts of Tex Mex fare. 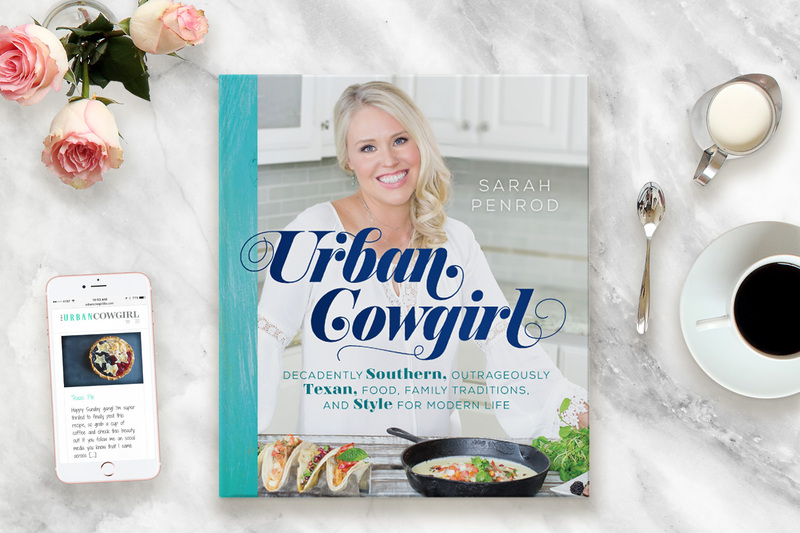 Listen, we all want to be fit and trim, but when you’re raised on tacos and enchiladas ain’t nobody strong enough to resist the siren call of Tex Mex. 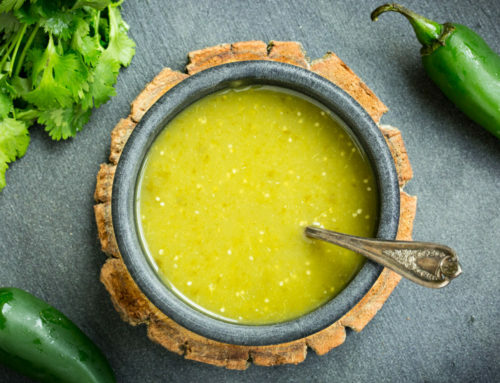 Especially on a warm, Friday evening with the promise of fresh tortillas, and cool cerveza by a wood-fired grill. 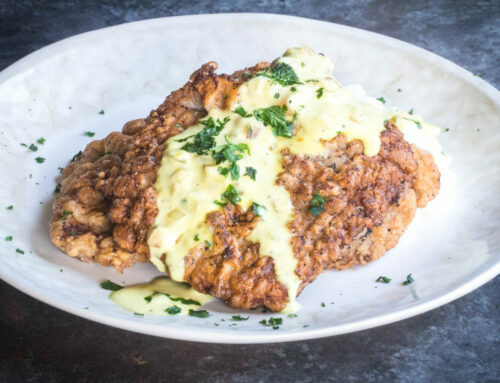 And why should you resist?! As grandma always said, raise a child right and they will not depart from it! 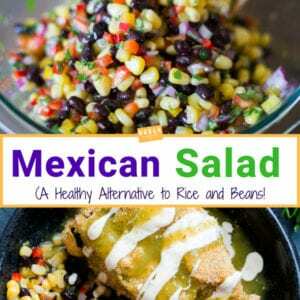 Join me in praying at the altar of Tex-Mex, and get a little fresh perspective on this Corn and Black Bean Salad with Mexican Vinaigrette— which is really just a bunch of veggies drizzled up and marinated in a juicy vinaigrette, that goes well with practically anything you’d think of serving with rice and beans. Toss well! 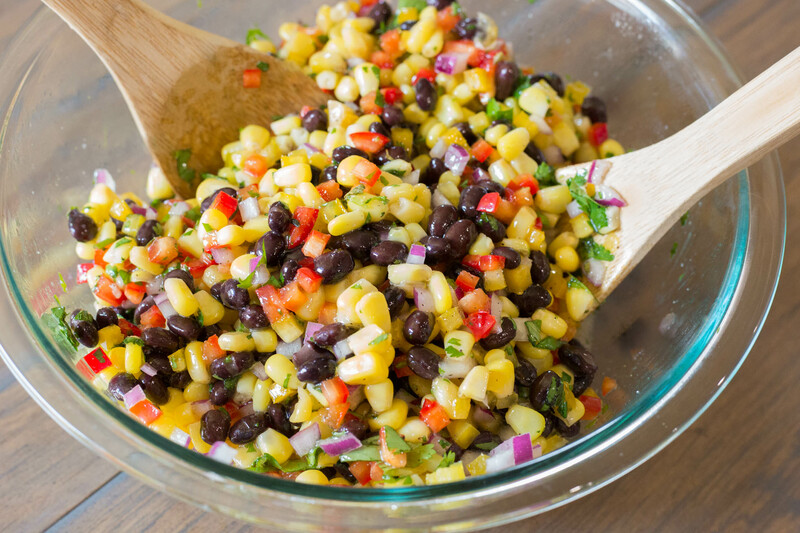 Place the Corn and Black Bean Salad with Mexican Vinaigrette back in a refrigerator to chill while you finish any other dishes. 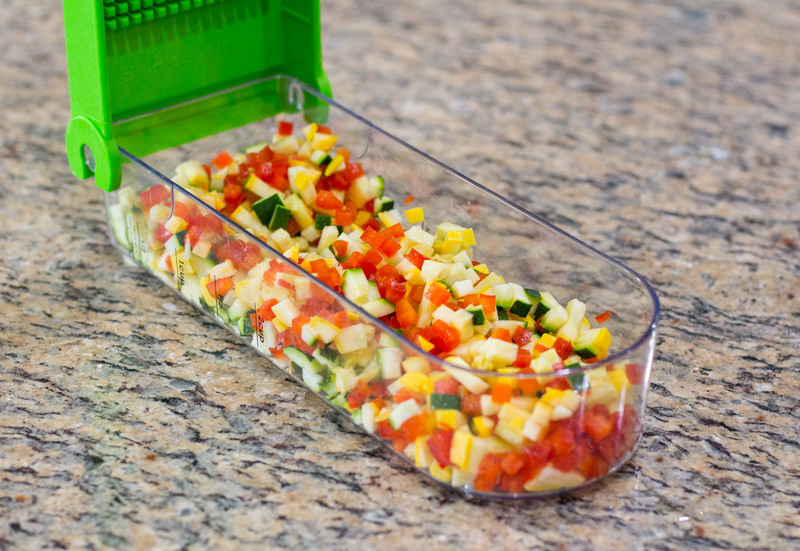 It keeps well for two days and travels beautifully to potlucks and picnics. 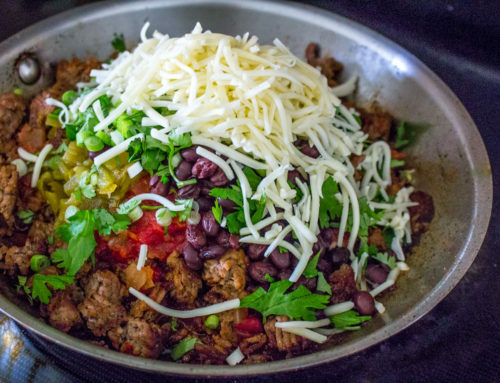 This recipe was originally made to go with the Cheesy Chicken Stuffed Peppers but it would go equally as well with any of your favorite mexican dishes. 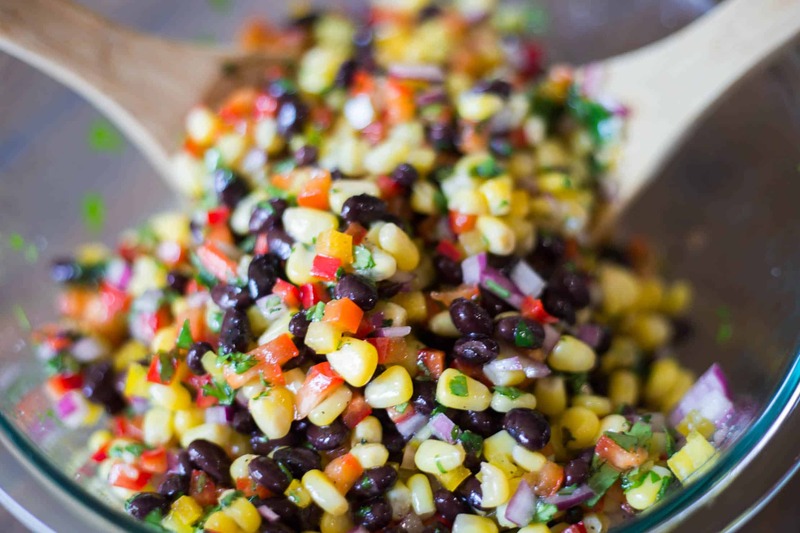 Here is the recipe for the Corn and Black Bean Salad with Mexican Vinaigrette! 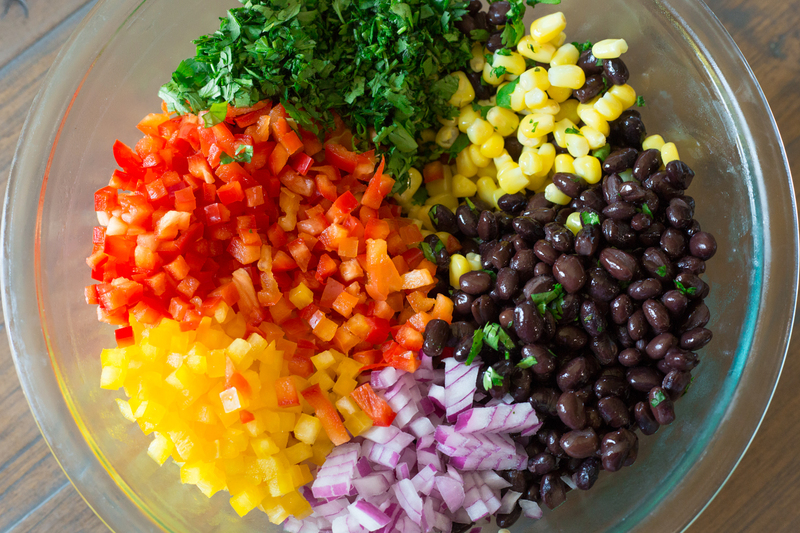 In a large bowl add the bag of corn, rinsed black beans, chopped peppers, small diced red onion, cilantro and salt and pepper. 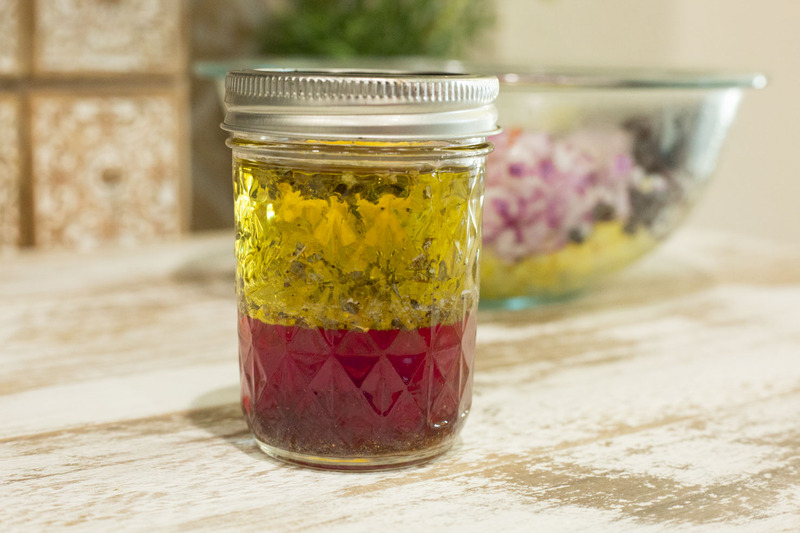 In a mason jar, shake up all of the ingredients to the vinaigrette. 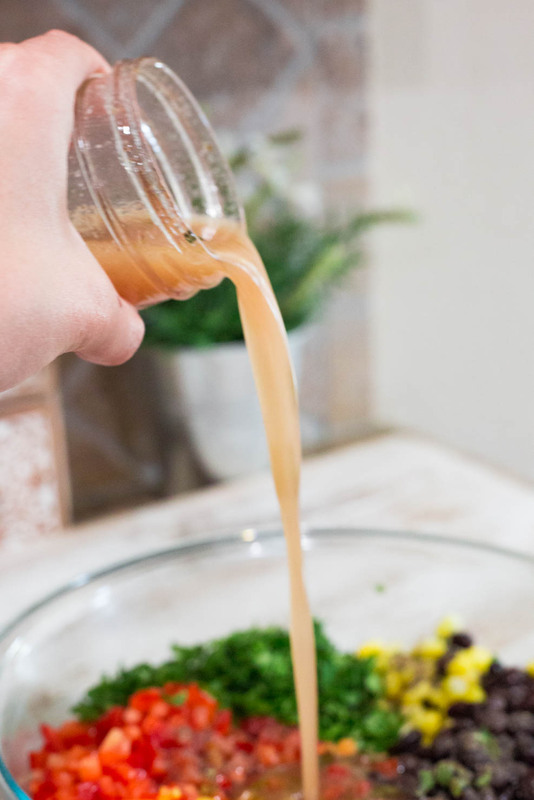 Drizzle the vinaigrette over the corn salad and toss well to combine. 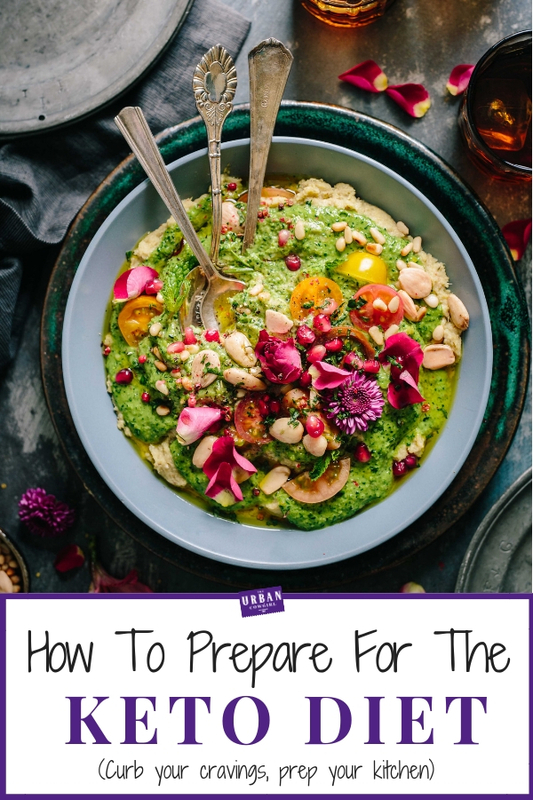 Taste for seasoning and allow to marinate until you are ready for dinner. 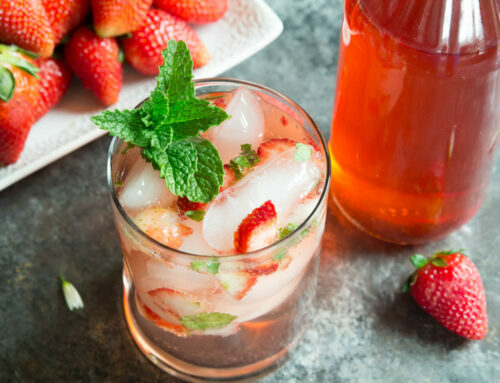 This recipe keeps fresh for 2 days in the refrigerator.